Before boarding the Mommy Train, if you have a pet, you will need to prepare. So get ready to take notes and remember that a hospital bag will not be the only thing item you will need. You started off your pre-pregnancy days preparing for parent life by taking care of your precious pup. You may have even called your dog your baby. If she was an “only child” then this transition will be difficult. Your time and attention will now be split. You will have no choice or say in having to drastically alter your routine. Newborn days are ruff… excuse our pun. So how do you prepare for this change? 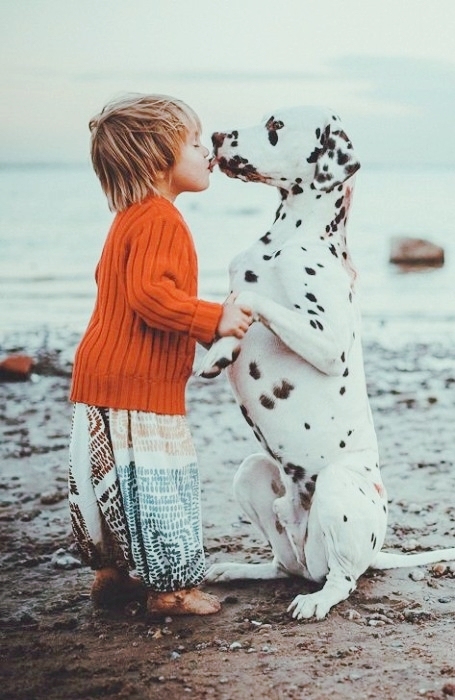 Teaching your dog some basic obedience skills will help you manage her behavior when the baby comes. Please see the section below, Teaching Your Dog Important New Skills, for specific training guidelines. Consider enrolling in a group class to get a head start. Four months before the baby arrives: Gradually introduce your dog to the new experiences, sights, sounds and smells she’ll encounter when you bring your baby home, and associate these new things with rewards. 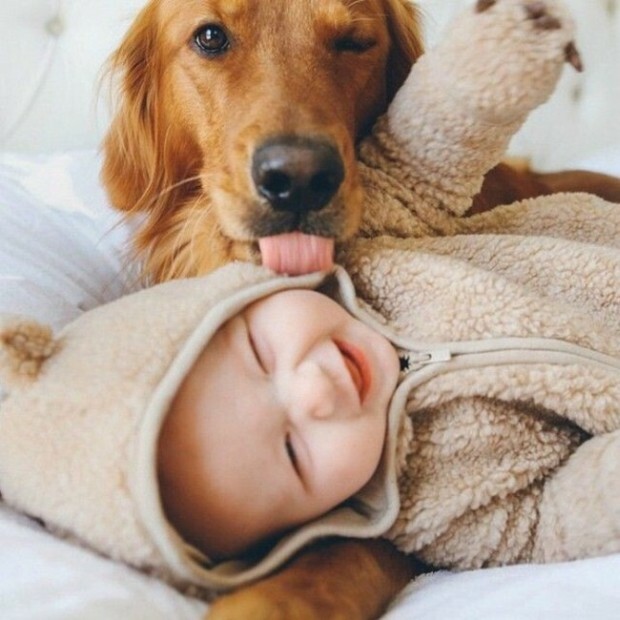 This will help your dog learn to love life with the baby. One to two months before the baby arrives: Anticipate the changes you’ll make to your dog’s daily routine, and start making those changes. There seemed to be a lot of information out there about what to do with your dog and newborn baby. So we set out to find the truth from the doggy experts. Dr. Brian Maxwell is a soon to be dad and also highly experienced Georgia Veterinarian. Does having your dog sniff baby’s clothes before coming home help? What precautions should Moms take? This sounds pretty discouraging. Is there anything at all that is a good rule? So basically Moms should nap with their dogs on the couch because it’s their only alone time… Just kidding, what’s alone time? It can be difficult carrying a baby, getting their nursery ready, packing a diaper bag, looking at Pinterest to see if you packed it correctly, and generally wondering if your fur baby will love your tiny human. Spoiler alert, they probably will. So try not to stress, watch carefully, and give as much love as you can Mama! Thank you to Dr. Maxwell for allowing us time to ask questions and help our Mamas.